With its SUPERTUBE, KMT Waterjet has developed a simple solution to focus a pure water jet over a long distance. Using this development, operators of waterjet cutting machines can optimize their pure water cutting cost-efficiently and without major additional effort as the longer the jet is focused, the better is the cutting quality and the higher the cutting speed. The construction of a cutting head for waterjet cutting and thus the control of a cutting jet holds some specialties. 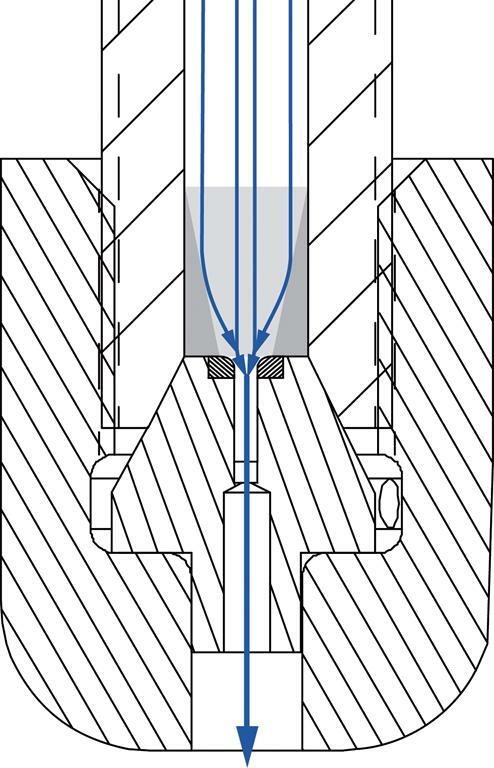 The water in the nozzle tube, for example, has a high flow speed, which causes turbulences in front of the water nozzle. Those have a significant influence on the length of the focused waterjet: The greater the turbulences, the earlier the jet opens up after leaving the nozzle orifice. This reduces its energy density, and the cutting force of the waterjet decreases with increasing jet length. As pure water applications often include high and soft material, grooves may occur in such cases at the cutting edge of the work piece. KMT Waterjet Systems has approached this problem and developed the SUPERTUBE-Insert. This item is a plastic insert with cone-shaped interior diameter, which can be slipped into the outlet of every common KMT nozzle tube. 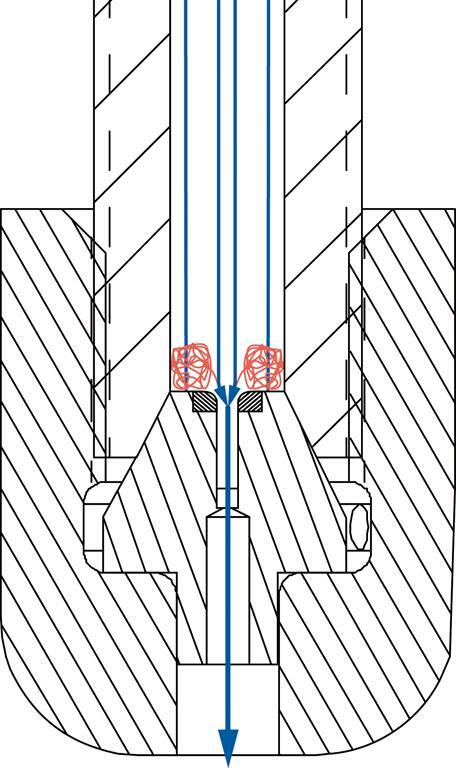 Due to its design, the volumetric flow of the incoming water is continuously tapered resulting in a laminar flow condition which almost eliminates the turbulences in front of the water nozzle. 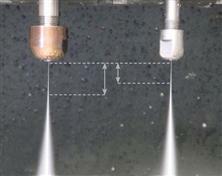 This effect eventually leads to an elongation of the focused cutting jet thus increasing the jet’s cutting performance. As tests conducted at KMT have shown, the application of the SUPERTUBE-Insert can prolong the well-focused part of the waterjet by up to 40%. In this way, machine operators can increase the cutting quality and speed, and even thick material can be cut neatly. 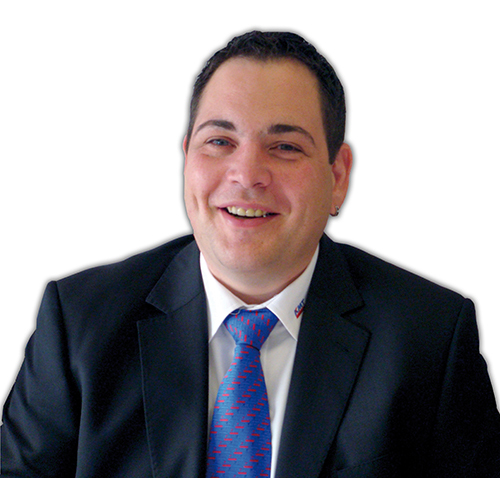 These are only some advantages of the comprehensive KMT Sales and Service Network, which always is close to the customer thanks to its numerous international offices. Anyone who is interested to learn more can find detailed information about KMT locations and services in the new flyer “Service worldwide”. Click here to download the flyer.